Dedicated to promoting and defending Pre-Vatican II Catholic Social Teachings and Catholic Action. the world on a wide range of subjects. Listen to the interview using the player below, or download it*! * Having trouble downloading? Try right click and "Save As..."
What We Have Lost…and the Road to Restoration documentary DVD. Michael Kenny, S.J., PhD., Litt.D. Are you receiving announcements of upcoming interviews, conferences, new books, and more? If not, sign-up here today. We don’t want you to miss a thing. This is the widely acclaimed documentary examining the destruction of Christ’s One, Holy, Catholic and Apostolic Church. See what we’ve lost, but more importantly, how we can get it back. 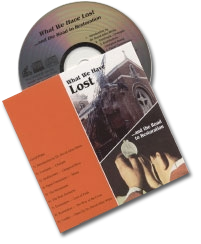 “What We Have Lost…” has been endorsed nationally and internationally by leading traditionalists — clergy and laymen alike. It’s the perfect gift for your Catholic relatives, friends, favorite priest, or bishop! 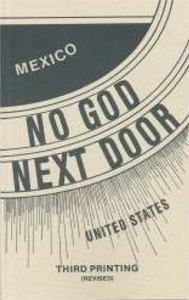 And remember, this DVD includes several languages including Spanish. Buy today at $15.00 each plus shipping and handling or write ISOC for discounts on multiple copies. in circulation with FREE shipping. Dr. Peter Chojnowski May 1, 2019 Did an Impostor Church Give Us an Impostor Sister Lucy? Fr. Joseph Casper Husslein (1873 – 1952) was a champion of Catholic Social Teachings and a promoter of Catholic Action. According to Fr. Husslein, “Christ comes to Broadway, to the Stock Market, to the operating room, the lawyer’s office, the peace table, etc., only in the person of the layman.” The layman must be conscious of his responsibility in terms of knowledge, inspiration, sanctity and social conscience. The views and opinions expressed by the ISOC interviewees do not necessarily represent those of the "In the Spirit of Chartres" Committee, Inc.